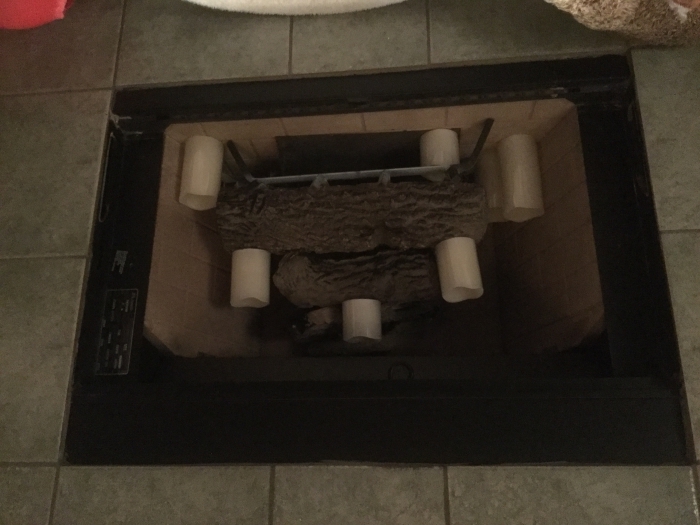 Does your fireplace insert have an inadequate surround? Perhaps the fireplace insert that you have has a mediocre facing. This section provides everything you need to give your fireplace a facelift. You do not have to settle for a second-rate appearance. Search through our extensive collection of fireplace frames and fireplace fronts. We have outer frames and metal fronts that will enhance your fireplace insert. Scroll through some of our bestselling vented gas fireplace inserts. We have so many to choose from! Medium Faceplate Shroud for Osburn 2400 High Efficiency EPA Woodburning Inserts - 32 in. x 44 in. Small Faceplate Shroud for Osburn 2400 High Efficiency EPA Woodburning Inserts - 29 in. x 44 in. Large Faceplate Shroud for Osburn 2400 High Efficiency EPA Woodburning Inserts - 32 in. x 50 in. Medium Faceplate Shroud for Osburn 2200 High Efficiency EPA Bay Window Woodburning Inserts - 32 in. x 44 in. Small Faceplate Shroud for Osburn 2200 High Efficiency EPA Bay Window Woodburning Inserts - 29 in. x 44 in. Large Faceplate Shroud for Osburn 2200 High Efficiency EPA Bay Window Woodburning Inserts - 32 in. x 50 in. Medium Faceplate Shroud for Osburn 1800 High Efficiency EPA Bay Window Woodburning Inserts - 32 in. x 44 in. Regular Faceplate Shroud for Osburn 1100 High Efficiency EPA Woodburning Inserts - 29 in. x 44 in. Small Faceplate Shroud for Osburn 1800 High Efficiency EPA Bay Window Woodburning Stove Inserts - 29 in. x 44 in. What paint can be used to paint fireplace surround? You can use any of our Fireplace Paints. I would like a simple fireplace surround. Width of opening is 34.5" and height is 28.5", do you have anything I can use? Our surrounds are model specific and we will not have anything that precise. We would recommend you have something locally fabricated for the best fit. Perhaps you would consider decorative firebox panels inside the fireplace. Please see the following links: One 24"h x 28"w Panel Two 24" h x 40"w Panels These panels are about 1" thick and can be cut down to the size you need with a masonry blade or tile saw. They are suitable for use as side, rear and floor panels inside any manufactured woodburning fireplace. What's the difference between a fireplace front and a fireplace frame? Generally speaking, a fireplace front will cover some of the firebox facing while a fireplace frame or surround will cover any gaps left during the finishing phase of installation. Please note that all of the frames and surrounds offered on our site will be manufacturer and model-specific to the fireplaces we also advertise on our site and would only work if you currently own one of these models. How do I actually attach the surround to the wall? I am trying to make a fake fireplace and there is not a gas fireplace inset or furnace inside my current wood burning fireplace. May I use liquid nails to "stick the surround to the wall?" Thank you. You might want to use a RTV silicone, in case you ever decide to use the fireplace again. I have a 29 inch wide by 23 inch tall marble wood burning fireplace. I am looking for a facing surround for this size. Unfortunately, the facings and surrounds advertised on our website are specific to certain fireplaces we also offer and will not be universal. I recommend having something fabricated locally. I have a 24" X 36" fireplace and am looking for a decorative trim in satin nickle. We only offer decorative trim and optional surrounds for the manufactured fireplaces that we also offer. How do I find sizes of the openings? The surrounds we carry do not have opening sizes listed, as they are meant for specific models of inserts. I'm looking to put a wood insert into a 71" (w) x 51" (h) fireplace. Unfortunately, we do not offer custom surrounds. This is something you will likely need to have fabricated locally. How do I determine what size face to purchase? The fireplace facings and surrounds that we carry are all intended to be used with specific models of fireplaces and inserts. You will definitely need to know that manufacturer name and model number of the fireplace to determine what parts will work with the unit. There should be a build tag or sticker with the unit, either just inside the opening at the left or right side, or in the void space beneath the firebox floor.